Canadian athletes had an impressive showing in front of their home crowd in the start of the athletics tournament of the Pan American Games at York University in Toronto, picking up five gold medals. 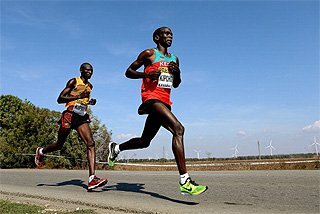 Evan Dunfee and Inaki Gomez set the tone for the host nation by taking gold and silver in the men’s 20km race walk on Sunday (19). The duo led from the early stages with Dunfee beginning to pull away before the 5km mark, which he reached in 21:55. 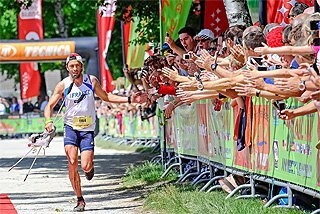 By half way, covered in 42:14, his lead had grown to 34 seconds over Gomez and Brazil’s South American champion Caio Bonfim. Dunfee’s second half was significantly quicker than his first, taking just 40:52 to cover the last 10km to win by more than a minute in 1:23:06. Gomez shook off the challenge from Bonfim in the last two kilometres to finish a comfortable second in 1:24:25. On the first day of the track and field events on Tuesday (21), pole vaulter Shawn Barber, javelin thrower Liz Gleadle, steeplechaser Matt Hughes and 10,000m runner Mohammed Ahmed sealed what could be perhaps the most successful day for Canada in the history of athletics at the Pan American Games. 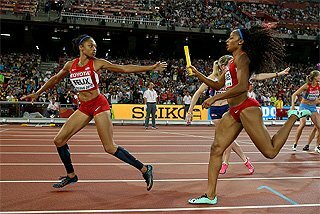 Tuesday also produced three Games records: USA’s Queen Harrison ran 12.52 in the 100m hurdles, Jamaica’s O’Dayne Richards tossed the shot to 21.69m and Barbara Pierre became the first woman to legally run faster than 11 seconds in the history of the Games with a 10.92 clocking in the 100m heats. 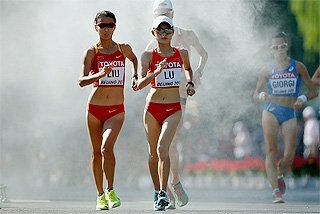 They joined Peru’s marathon winner Gladys Tejeda and Mexican race walker Maria Guadalupe Gonzalez’s, who opened the record books at the weekend. Gleadle gave Canada its first gold at York University by throwing the javelin to 62.83m on her last attempt. In a close competition, Gleadle took an early lead with 59.33m with USA’s Kara Winger and Brazil’s Jucilene de Lima coming within half a metre of that mark in the following two rounds. 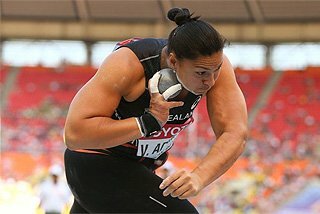 De Lima then moved into the lead with her fourth-round throw of 60.42m and Winger moved ahead of Gleadle after throwing 59.74m in round five. Winger then took the lead with her final-round throw of 61.44m, but Gleadle saved her best for her final effort, throwing 62.83m to take gold with the last throw of the competition. Shortly after, Barber and Argentina’s German Chiaraviglio battled for the top spot in the men’s pole vault. 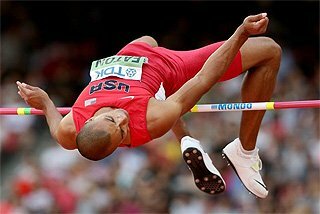 After a failed attempt over 5.70m, Chiaraviglio improved his national record to 5.75m, finally breaking the mark of 5.71m set when winning the 2006 world junior title. The Canadian responded by clearing 5.80m, equalling the Games record set by Cuba’s Lazaro Borges in 2011. Chiaraviglio tried 5.85m unsuccessfully and the NCAA champion secured another gold for Canada after three failed attempts over 5.93m. “It was definitely on my mind today, I just went out there and tried to continue my good year and I think I did that very well today by winning gold,” said Barber, who has cleared 5.80m or higher on 13 occasions this season. On Tuesday evening, Hughes perfectly executed his tactics and made his decisive move with 500m to go to take the 3000m steeplechase title from compatriot Alex Genest. Ahmed sealed a golden Tuesday for Canada by taking the 10,000m. 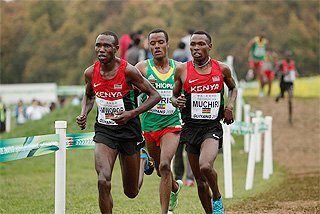 With six men still in contention with one lap to go, Ahmed kicked away to win the biggest title of his career in 28:49.96, having covered the final kilometre in 2:33. Commonwealth shot put champion O’Dayne Richards made history by winning Jamaica’s first gold medal in Toronto. In the lead from the first round, the 2011 World University Games gold medallist unleashed the shot to a Games and national record of 21.69m to secure his victory. Caterine Ibarguen continued her undefeated campaign since the 2012 Olympic final. Determined to defend her title from the first round, the 31-year-old opened her series with 14.37m. She increased her lead to 14.74m, 14.88m and 15.08m (2.3m/s), all with illegal tailwinds, in the last three rounds. 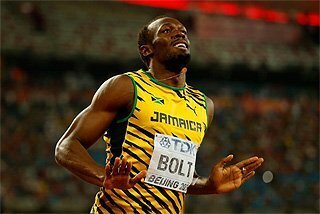 “I am very happy because I came here to jump far at the Games. 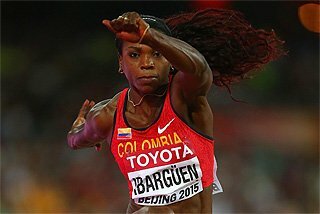 Thank God, I made my contribution to the Colombian delegation,” said Ibarguen after winning a record 25th international medal for Colombia. The first day of in-stadium competition ended with the first gold for the United States. 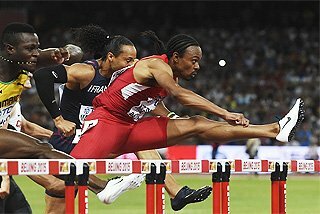 Pre-race favourite Queen Harrison showed an excellent form to win the 100m hurdles in a Games record of 12.52. 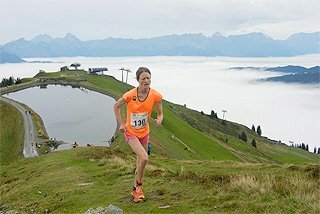 Harrison’s time was just 0.09 outside the PB she set two years ago and moves her to fifth on this year’s world lists. In the process, she ended the 28-year gold medal drought for her country in this event at the Games. Strong tailwinds featured prominently on the first day of track action. When the wind calmed down, USA’s reigning Pan American Games silver medallist Barbara Pierre took advantage and became the first woman to legally break the 11-second barrier in the history of the Games, clocking 10.92 (1.6m/s) to win her heat. Kelly-Ann Baptiste and South American record holder Ana Claudia Silva were the winners of the other heats, recording wind-assisted times of 11.07 and 10.96 respectively. In the men’s 100m, Canada’s NCAA champion Andre de Grasse easily dominated his heat with 10.06 and advanced to the semifinals. Aided by strong tailwinds, Trinidad and Tobago’s Keston Bledman and USA’s BeeJay Lee won their respective semifinal heats in 9.95 and 9.99. On Wednesday, York University may well witness the first legal sub-10 run in the history of the Games. Brazil also clinched gold on the opening day on the track. Winner of the 1500m eight years earlier in Rio de Janeiro, Juliana Paula do Santos improved her personal best by 22 seconds to take the 5000m. After three-time world and Pan American champion Yipsi Moreno’s retirement, Rosa Rodriguez took the throne in the women’s hammer with 71.61m and in the process made history by becoming the first Venezuelan woman to win a Pan American title in athletics. 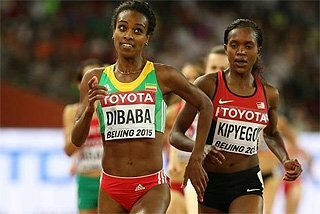 The athletics tournament, to be held until July 26, features 50 current and former world and Olympic medallists.